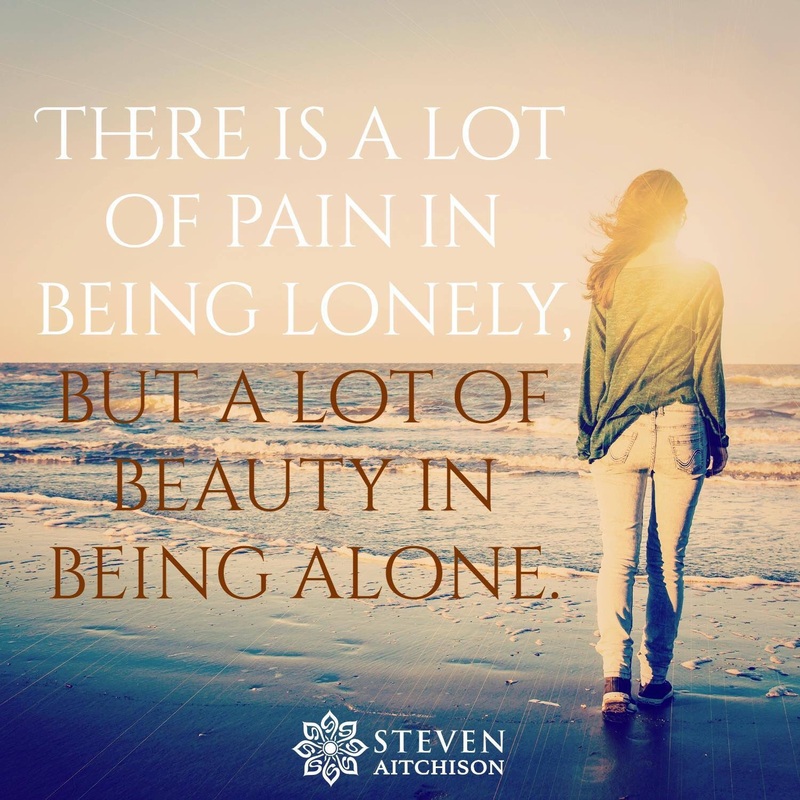 Are you aware of the difference between being alone and loneliness? Being lonely exudes a sadness, loss, lack of support or meaningful friendships. It takes us down to lower level vibrations, where joy and laughter are but fleeting memories or dreams. Even as I write this I feel myself being pulled down. Imagine experiencing this every day. Are you experiencing loneliness right now? Take small steps to support yourself off this path. Look at the world. Notice the beauty in the minute, the smallest thing… The little bird, a flower – it’s face toward the sun, a sleeping child.. If you know of someone who is lonely, or you notice a stranger you feel would appreciate a smile, offer a kind word, eye contact, reach out to those feeling weakened by life’s challenges. Do you enjoy your own company or do you do everything you can think of to avoid spending time with you? When you find you have some free time, what do you do with it? Some will pick up the phone and call anyone and everyone to chat or meet up somewhere, others will escape to immerse themselves in the crowd, a gym, a shopping centre, anywhere in the hope of bumping into someone they know. Why? Is there a fragment of you that is fearful of self recognition? Is there something about yourself that you cannot face? Something you do not want to acknowledge? Is there something hovering on the edge of your awareness that feels a little scary? Alone time is the perfect opportunity to get in touch with ‘you’. The ‘you’ of your soul essence.